As Chief Technology Officer, Rajat Ghai is responsible for the company’s technology vision and direction. With over 20 years of Service Provider IP Mobility and Telecommunication technology experience, Rajat brings a unique vision for evolving Service Provider’s networks and services. Most recently, Rajat was Senior Technical Director at Movik Networks, where he set the company’s technical direction and drove important standards development. Rajat’s role at Movik resulted from the acquisition of Fringe Corp., which he founded in 2010 and developed the industry’s first Open Programmable Mobile Internet ™ platform. 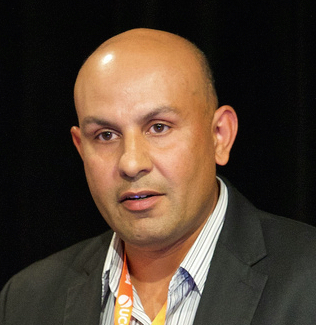 Prior to Fringe, Rajat Ghai held various senior Research &amp; Development and Standard Development roles at innovative companies such as Starent Networks (acquired by Cisco), Sagamore Network (co-founder and acquired by Starent Networks), Excel Switching (acquired by Lucent) and Hughes Software Systems. Rajat is inventor and co-inventor of over 10 patents in the field of communications. Rajat holds a Bachelors of Engineering in Electronics and Communications from National Institute of Technology Silchar, India.